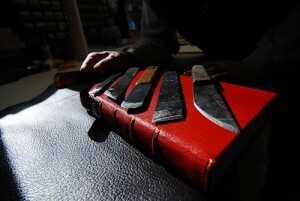 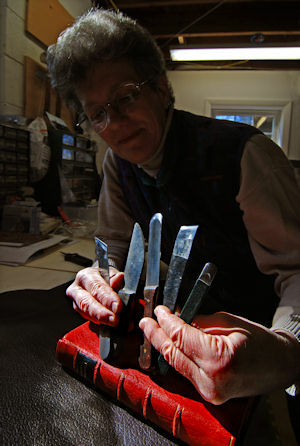 Light of Day offers custom made knives for students and customers who find that they are paring leather or in need of a lifting knife in their book and paper restoration work. 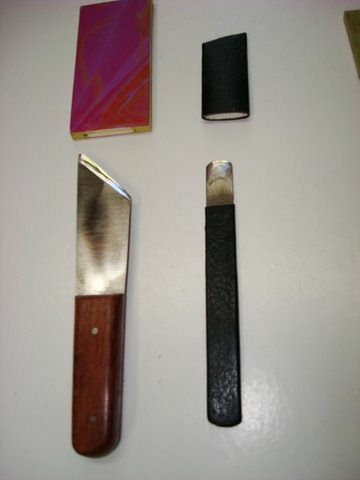 As you can see in the photos, some of the knives are created from steel blanks and some are retooled from old knives in which the steel is high quality and already tempered. 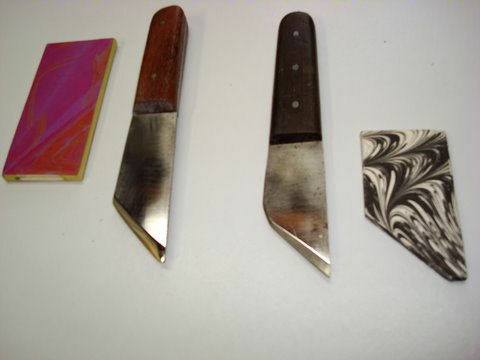 Students who are participating in private study at the bindery learn to make their own knives and use both the table grinder and the Tormek water wheel to shape and sharpen their personal knives. 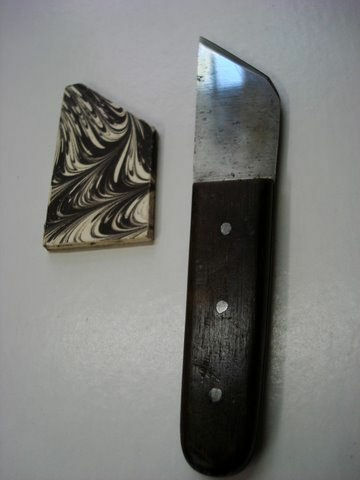 Students all learn how to temper steel and use sharpening stones, honing pastes, emory papers and other means to sharpen their blades. 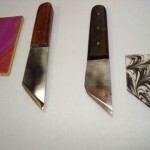 Interested customers should call the bindery to inquire about right and left handed custom blades, both English and French style as well as lifting knives. 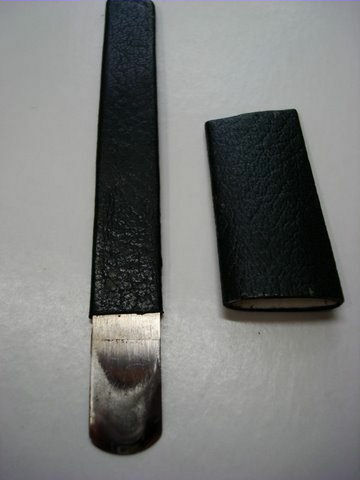 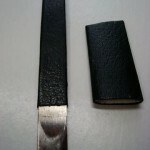 The pricing of knives is dependent on many things – style, already tempered, leather handles and caps, if it is retooled from an older knife – there are many variations. 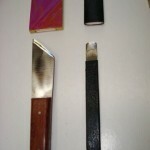 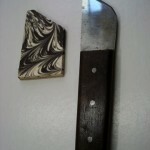 Most custom made knives range in price from $50 – $80 for lifting knives and $60 – $100 for paring knives.